A metal gate groaning with the chorus of quacking ducks greeted us as we crossed the one-lane road to enter the home of Nguyen Thi Thu Trang, 39, in Vinh Long province. Her youngest daughter, Cao Thi My Xuyen, 4, shyly smiled from atop a huge tractor with a mouthful of rice. Trang invited us inside and we sat down at a small table in the front room. Wind whipped across the expansive rice fields surrounding her house and through the open door, fluttering the curtains and our notebooks. Trang and her family joined the Heifer project Improving the Disadvantaged Farm Households' Capacity in Vinh Long Province through VBHCD (Values-Based Holistic Community Development) had many opportunities to improve their personal and economic lives. Life for this hardworking woman, however, was not always so fortunate. Trang began to share her story, a story of flexible resilience and tireless ingenuity. She grew up as the oldest of her brothers and sisters. At the age of 25, she married her first husband. Trang recounted that her husband and his family were controlling and abusive. She was not allowed to spend any of the family's money, so when she bought a small breakfast of sticky rice, costing about 5 cents, her husband beat her and threw her in the river. Trang realized she deserved a better life, divorced her husband and moved to Saigon. A few years later, her parents asked her to consider a potential husband. 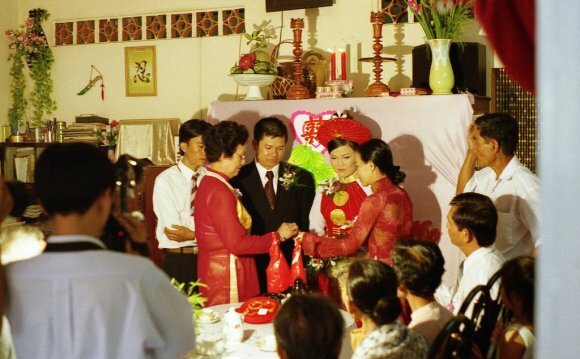 Initially Trang refused the arranged marriage, but after a year passed, her family called her again unexpectedly and asked her to come home and celebrate her engagement party. Trang laughed, remembering how shocked and reluctant she was. She missed her bus home and had to hire a motorbike taxi to make the long trip. How to get a Vietnamese marriage certificate?